The U.S. Navy is changing the mission of its MQ-8C Fire Scout rotary-wing unmanned systems to make Littoral Combat Ships more lethal to keep up with the changing warfare, USNI News reported Wednesday. In 2018, the service began the effort to shift Fire Scout away from missions to protect LCS. Instead, the aircraft will focus on providing targeting information to weapons aboard the ship. U.S. Air Force Chief of Staff Gen. David Goldfein said at a recent event in Washington, D.C. that the Department of Defense will request $135B for warfighting capabilities intended to penetrate, National Defense reported Tuesday. The DoD’s fiscal year 2020 budget request will include stealth aircrafts like the F-35 joint strike fighter and other technologies intended to infiltrate the defense systems of adversaries. 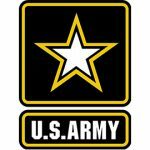 The U.S. Army Research, Development and Engineering Command has joined the Army Futures Command and rebranded the name to the Combat Capabilities Development Command during a ceremony on Jan. 31. CCDC's science and technology advisers met with cross functional teams and the Modernization Task Force to prepare for the command's transition to AFC, the Army said Thursday. 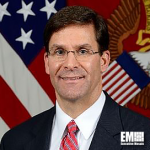 Mark Esper, Secretary of the U.S. Army, said in an interview the service branch wants to allocate significant funding into science and technology efforts to reach its readiness goals by fiscal year 2022, Defense News reported Tuesday. He noted that the Army is making progress with 31 programs under the established Futures Command in line with the service’s modernization strategy developed in 2018. Lt. Gen. Brian Beaudreault, the U.S. Marine Corps’ deputy commandant for plans, policies and operations, announced the USMC is requesting $14B for modernization and $13.8B for near-term readiness efforts, USNI News reported Thursday. Each appropriation accounts for 30 percent of the service branch’s total budget for fiscal year 2020. The U.S. Navy is awarding a contract for the construction of a large surface combat ship as part of a plan to complete a 355-ship fleet, National Defense Magazine reported Tuesday. Rear Adm. Ronald Boxall, the Navy's director of surface warfare, said Chief of Naval Operations Adm. John Richardson has proposed the contract be awarded in fiscal year 2023. Lt. Gen. Bruce Crawford, chief information officer of the U.S. Army, has announced plans to reduce its more than 8,000 applications over the next 12 months to utilize hybrid cloud, Federal News Network reported Monday. Crawford said the service branch is identifying which apps can migrate immediately, and those that should end its operations or take time to move to the cloud.